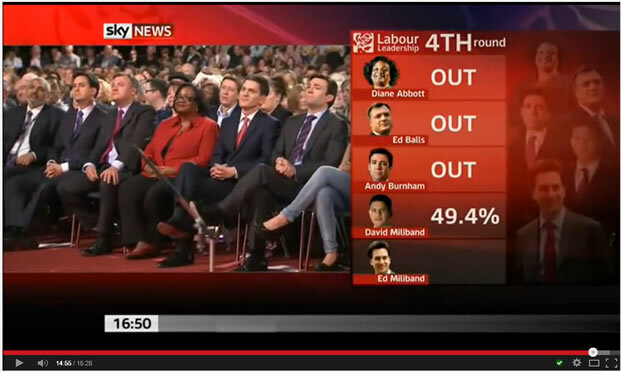 Why Labour Lost Election 2015, Who will be Next New Labour Leader? However, those who had followed my series of articles number approx 60 and accompanying videos would have received the unequivocal message that the opinion polls were wrong and that the Conservatives could even win a single digits outright election victory. Labour dancing to the SNP's tune was only the tip of the socialist ice-berg for the red flag flying Ed Miliband painted a picture of a class struggle between the 99% and the 1%, when in reality it was Labour that demonstrated itself as being the party of immigrants and benefits scroungers and not the workers, i.e. approx 25% vs the hard working 75% which is the real reason why Labour lost the election as Labour made it clear it would go on a debt fuelled spending binge to reward the most laziest in society to the cost of Britain's workers, where the SNP was just an extra dozen or so nails in Labours coffin. And those are the two primary reasons why Labour lost the 2015 general election. They chose the WRONG leader and then focused on Britain's SLOTHS. Whilst ignoring most of Britain's hard working families who want to better themselves, where the message from was Labour that they would do their best to keep the people sedated on benefits for life so that they would become vested interest Labour voters. People want education, REAL education and not the 80% of worthless -ologie degrees that socialist Universities tend to pump out which result in graduates finding themselves working in Burger King for that is the value of their degrees. People want the borders to be controlled, REAL BORDER CONTROL - What's the point of Labour promising to build 200,000 homes per year when it would have ended up letting in over 1/2 million of new migrants per year. Therefore for Labour to even stand a chance of winning the 2020 General Election then they need to elect an centralist leader, a fresh face and not the likes of Yvette Cooper who shortly after the BBC exit poll was released after 10pm on 7th May angered many of the electorate by stating that if the exit polls were correct then David Cameron had lost the election and so Labour would go on to form the next government. So out of the current list of possible's, so far only Tristram Hunt, Stella Creasy and Liz Kendall stand out as standing any chance of reversing Labours fortunes. Whilst the favourites - Chuka, Andy and Yvette as Labour leader would virtually guarantee another Conservative 2020 election victory. Therefore it is highly probable that Labour could make another huge blunder by electing the wrong Leader just as they did in September 2010. Labour needs to ditch the red flag and instead over the next 5 years create a NEW, NEW Labour party that rewards HARD WORK and NOT SLOTH. For in the 2015 election Labour presented itself as the party of SLOTH. 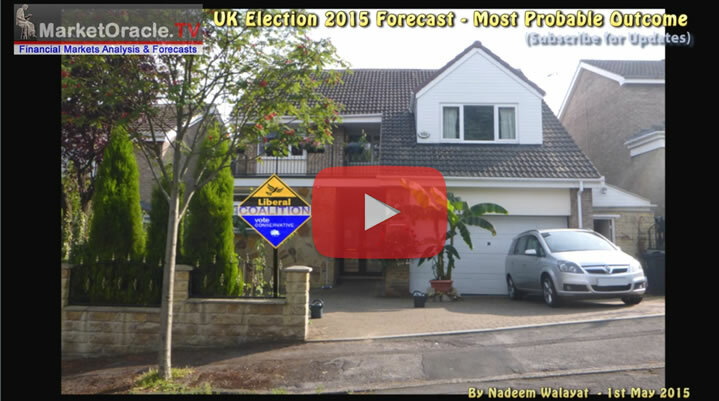 To find out WHY the opinion polls got it so badly wrong then ensure you are subscribed to my always free newsletter for my in-depth analysis and detailed trend forecasts.